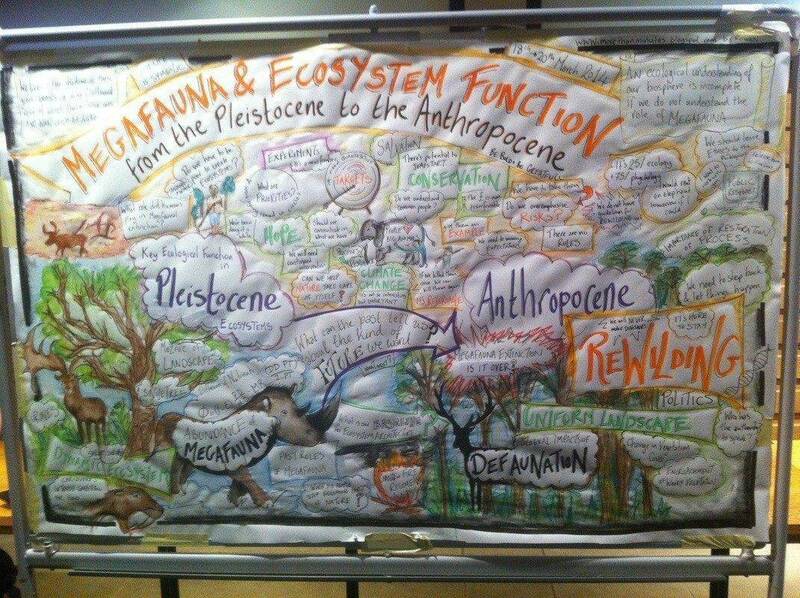 There was an interesting conference in Oxford entitled ‘Megafauna and Ecosystem Function: from the Pleistocene to the Anthropocene‘. Participating scientists dealt with the subject of what the past can tell us about the kind of future we want and how we – human – impacted the megafauna. The picture drawn at the conference is not really nice about our behaviour. Almost everywhere we went, humankind managed to remove a world of wonders, changing the way the biosphere functions. Modern humans arrived in Europe and Australia at about the same time – roughly between 40 and 50,000 years ago –, which in ecological term is a blink of an eye. Consequences were similar in both continents. In Europe, the extinctions happened relatively slowly as animals had already been trained to fear our ancestors. However our continent had lost its straight-tusked elephants, forest rhinos, hippos, hyenas and other large size creatures within 10 or 15,000 years, . On the contrary the collapse was almost instant in Australia, where no great ape had entered the continent before modern humans arrived. All large size animal for instance the marsupial lion, the monitor lizard larger, which was larger than a Nile crocodile, have gone – in ecological terms – within seconds. Extinction driven by human still continues in regions like the Amazon or Africa, where poaching decreased the size of forest elephant population by 60% since 2000. Even if there is a species comeback, like the recovery of wolf in Europe, we are typically scared to accept such a move. This is why a hunting has recently been organised in France to kill alpha males of wolf packs. For three regions, preliminary analysis suggests that initial declines in megafauna may mark the first arrival of humans. Because megafaunal declines and first human arrivals are time- and space- transgressive, this pattern, if it holds up after further analysis, provides strong support for the overkill hypothesis and would be difficult to reconcile with other extinction mechanisms. These researches raise some interesting questions such as: Can we stop running our fellow creatures into extinction? Or is killing coded in our genes? It seems that the Anthropocene perhaps began far earlier than we thought. It seems that humans….even before we reached this “advanced” state… were nothing but killing machines. Evidence shows we’ve been decimating populations and massivly altering the environment for 2 million years. Getting rid of all those magical animals massively altered the entire environment and probably even weather patterns. Kind of amazing.